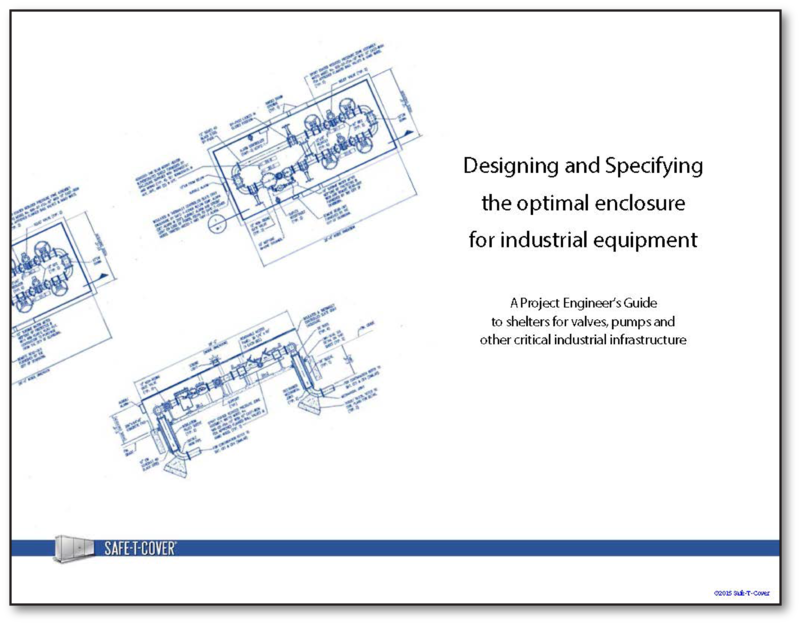 Safe-T-Cover announced today publication of a new engineering and design resource for project managers, supply houses and design engineers seeking fully customizable enclosure or shelter solutions for industrial equipment. Each section offers insights into what’s possible and why it’s important. The insights extend the typical industry focus on “freeze protection” to a variety of other considerations and open up the range of applications substantially. Traditionally used for backflow assemblies, valve boxes and pump houses, fully customizable equipment enclosures can be adapted for a variety of other applications including equipment protection, noise abatement, vandalism and theft deterrence and climate control. Traditionally enclosures have been a “check the box” component of water systems. Drawings will often show a “box” or refer generically to a “hotbox.” Consequently engineers have often assumed that their only viable options were stock enclosures. That’s no longer the case, and modular design means that cost and lead-time are all negligible considerations when designing the right enclosure for an application. If equipment is worth protecting - it’s worth protecting properly. With a customized application specific solution. Engineers now have the planning guidelines necessary to ask the right questions and demand the right features to optimize each enclosure for its application. The new engineering resource guide is available for free download. Supply houses, OEMs and distributors interested in providing the guide to their clients and prospects should contact Craig Carmon to discuss co branding the content. About Safe-T-Cover: Safe-T-Cover helps engineers and companies protect important industrial equipment and water infrastructure. We’re engineers by training and temperament and we come to work each day to help engineers create the ideal solution to their protection requirements. Our custom orientation, and modular system, mean that we are able to provide prices, drawings and specs on custom enclosures within a couple days. And by helping you design the perfect enclosure for your requirements, we’ll help you save big over time.